According to a UN report, unless there is “swift, radical and creative action” towards conservation and sustainability, economies, lives and livelihoods across the globe could be at risk. The report is based on scientific assessments, national reports submitted by governments and a study on future scenarios for biodiversity. The third edition of Global Biodiversity Outlook (GBO-3), produced by the Convention on Biological Diversity (CBD), confirms that the world has failed to meet its target to achieve a significant reduction in the rate of biodiversity loss by 2010. The Outlook warns that massive further loss of biodiversity is becoming increasingly likely, and with it, a severe reduction of many essential services to human societies as several "tipping points" are approached, in which ecosystems shift to alternative, less productive states from which it may be difficult or impossible to recover. 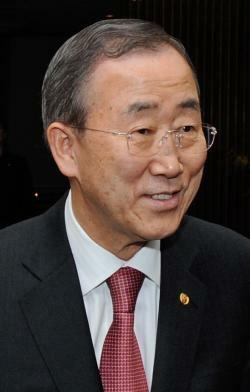 In his foreword to GBO-3, United Nations Secretary-General Ban Ki-moon writes: "As this third Global Biodiversity Outlook makes clear, conserving biodiversity cannot be an afterthought once other objectives are addressed - it is the foundation on which many of these objectives are built." The Outlook argues, however, that such outcomes are avoidable if effective and coordinated action is taken to reduce the multiple pressures being imposed on biodiversity. For example, urgent action is needed to reduce land-based pollution and destructive fishing practices that weaken coral reefs, and make them more vulnerable to the impacts of climate change and ocean acidification. The dieback of large areas of the Amazon forest, due to the interactions of climate change, deforestation and fires, with consequences for the global climate, regional rainfall and widespread species extinctions. The shift of many freshwater lakes and other inland water bodies to eutrophic or algae-dominated states, caused by the buildup of nutrients and leading to widespread fish kills and loss of recreational amenities. Multiple collapses of coral reef ecosystems, due to a combination of ocean acidification, warmer water leading to bleaching, overfishing and nutrient pollution; and threatening the livelihoods of hundreds of millions of species directly dependent on coral reef resources. The document notes that the linked challenges of biodiversity loss and climate change must be addressed by policymakers with equal priority and in close co-ordination, if the most severe impacts of each are to be avoided. Conserving biodiversity and the ecosystems it underpins can help to store more carbon, reducing further build-up of greenhouse gases; and people will be better able to adapt to unavoidable climate change if ecosystems are made more resilient with the easing of other pressures. The Outlook outlines a possible new strategy for reducing biodiversity loss, learning the lessons from the failure to meet the 2010 target. It includes addressing the underlying causes or indirect drivers of biodiversity loss, such as patterns of consumption, the impacts of increased trade and demographic change. Ending harmful subsidies would also be an important step. The UN report is correct and this is an incredibly important issue. Unfortunately, it seems, we will have to face cataclysmic events before governments take action. Lets all hope the powers that be come to their senses before that happens.